Leading housing charities, trade unions, community action groups, political parties and minority representatives have joined forces to form a National Homeless and Housing Coalition. The group is calling on the government to take immediate action to end the current homeless and housing emergency situation. 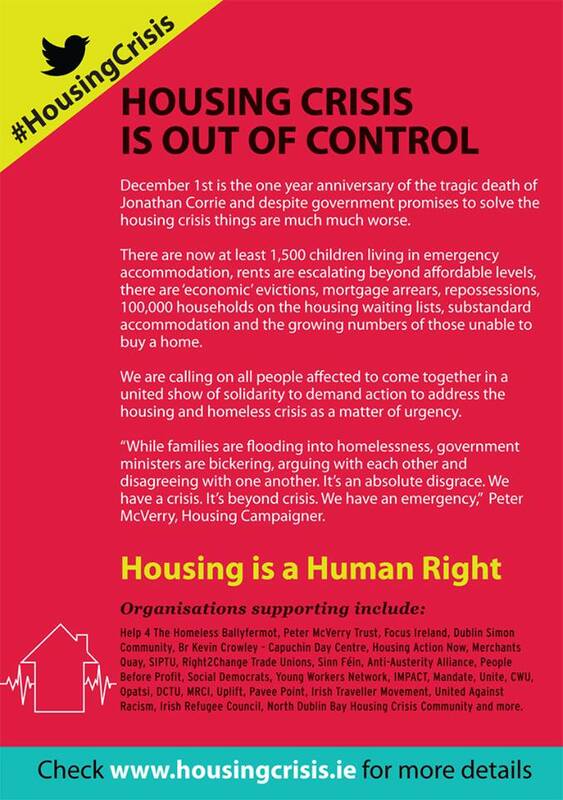 It comes as the coalition is calling on the public to take part in a housing rally which will take place on the 1st of December at the GPO in Dublin. The rally will take place on the 1st of December to mark the tragic death of Jonathan Corrie. The group is urging the public to come out and support the rally and call on the government to introduce a range of measures to protect people who are homeless or those at risk of becoming homeless including increasing rent supplement, the introduction of rent certainty and rent controls and the building of social and affordable housing. 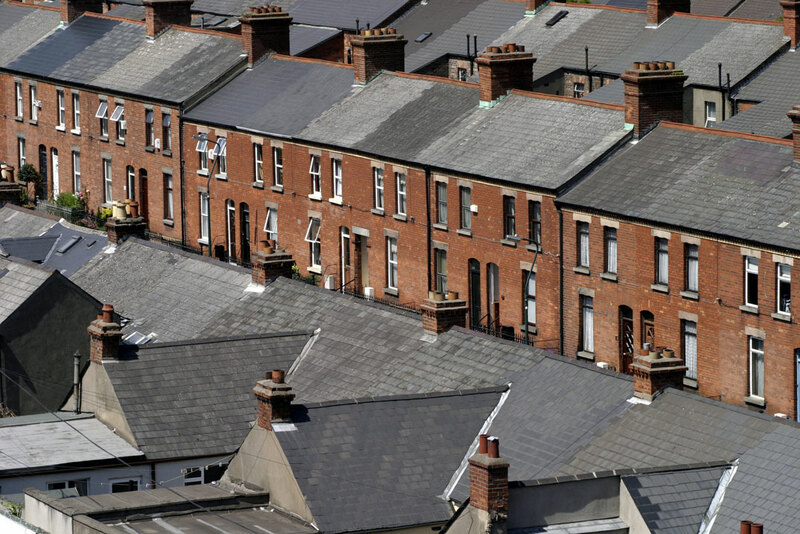 Speaking at a meeting of the coalition, Housing Campaigner Peter McVerry said: ‘While families are flooding into homelessness, government Ministers are bickering, arguing with each other and disagreeing with one another. It’s an absolute disgrace. We have a crisis, it’s beyond a crisis, it’s an emergency’. The Coalition has formed following the initiative taken by Help 4 the Homeless Ballyfermot activist Keith Troy: ‘Between 70 and 80 families are becoming homeless and losing their homes every month in Dublin alone. The government needs to take urgent action to deal with the housing crisis. The situation has become so serious that all these groups have come together to urge people to take part in the rally on the 1st of December to put pressure on the government to introduce the measures needed to protect people who are homeless or at risk of losing their home”. The rally on the 1st of December will assemble at the GPO at 5pm and will be followed by a march to Dail Eireann on Kildare Street.